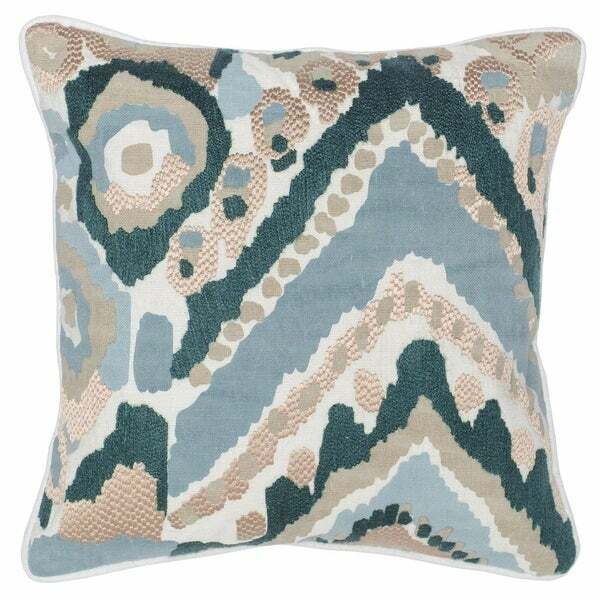 The Odaline pillow exudes folkloric vibes with its abstract patterns and varying coastal hues. Its rich details take inspiration from the eclectic cultures of Asia and Africa and and showcase the craftsmanship of skilled artisans from India. Give into the inviting appeal of the pillow's layered textures and striking motifs. Dimensions 5.0 In. X 18.0 In. X 18.0 In.